This article is about the novel by George Orwell. For other uses, see Animal Farm (disambiguation). As a literary device, an allegory is a metaphor in which a character, place or event is used to deliver a broader message about real-world issues and occurrences. Allegory has occurred widely throughout history in all forms of art, largely because it can readily illustrate or convey complex ideas and concepts in ways that are comprehensible or striking to its viewers, readers, or listeners. Eric Arthur Blair, better known by his pen name George Orwell, was an English novelist, essayist, journalist and critic, whose work is marked by lucid prose, awareness of social injustice, opposition to totalitarianism, and outspoken support of democratic socialism. 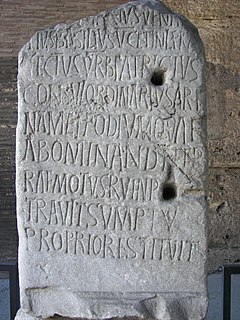 Fable is a literary genre: a succinct fictional story, in prose or verse, that features animals, legendary creatures, plants, inanimate objects, or forces of nature that are anthropomorphized and that illustrates or leads to a particular moral lesson, which may at the end be added explicitly as a pithy maxim or saying. Sir Victor Gollancz was a British publisher and humanitarian. Great Books of the Western World is a series of books originally published in the United States in 1952, by Encyclopædia Britannica, Inc., to present the Great Books in a 54-volume set. Old Major, the old boar on the Manor Farm, summons the animals on the farm together for a meeting, during which he refers to humans as "enemies" and teaches the animals a revolutionary song called "Beasts of England". Old Major is the first major character described by George Orwell in Animal Farm. This "purebred" of pigs is a kind, grandfatherly philosopher of change. When Major dies, two young pigs, Snowball and Napoleon, assume command and consider it a duty to prepare for the Rebellion. The animals revolt, driving the drunken, irresponsible farmer Mr. Jones, as well as Mrs. Jones and the other human caretakers and employees, off the farm, renaming it "Animal Farm". They adopt the Seven Commandments of Animalism, the most important of which is, "All animals are equal". The decree is painted in large letters on one side of the barn. Snowball is a character in George Orwell's Animal Farm. He is largely based on Leon Trotsky and describes how he led the opposition against Joseph Stalin (Napoleon), though he also includes elements of Vladimir Lenin. He is shown as a pink pig on the movie poster for the 1999 film Animal Farm, and as a white pig in the 1954 film. Snowball is voiced by Kelsey Grammer and Maurice Denham respectively in each film. Napoleon otherwise known as Our Leader, Comrade Napoleon, Father of All Animals, Terror of Mankind, Protector of the Sheep-fold, or Ducklings' Friend is a fictional character and the main antagonist in George Orwell's Animal Farm. He is described as "a large, rather fierce-looking Berkshire boar" who is "not much of a talker" and has "a reputation for getting his own way". While he is at first a common farm pig, he exiles Snowball, another pig, who is his rival for power, and then takes advantage of the animals' uprising against their masters to eventually become the tyrannical "President" of Animal Farm, which he turns into a dictatorship. Napoleon's greatest crime, however, is his complete transformation into Mr. Jones, although Napoleon is a much more harsh and stern master than Mr. Jones is made out to be. Mr. Jones of Manor Farm is a fictional character in George Orwell's allegorical novel Animal Farm. Jones is an allegory for Tsar Nicholas II. Jones is overthrown by the animals of his farm, who represent Bolshevik and liberal revolutionaries. Snowball teaches the animals to read and write, while Napoleon educates young puppies on the principles of Animalism. Food is plentiful, and the farm runs smoothly. The pigs elevate themselves to positions of leadership and set aside special food items, ostensibly for their personal health. Some time later, several men attack Animal Farm. Jones and his men are making an attempt to recapture the farm, aided by several other farmers who are terrified of similar animal revolts. Snowball and the animals, who are hiding in ambush, defeat the men by launching a surprise attack as soon as they enter the farmyard. Snowball's popularity soars, and this event is proclaimed "The Battle of the Cowshed". It is celebrated annually with the firing of a gun, on the anniversary of the Rebellion. Napoleon and Snowball vie for pre-eminence. When Snowball announces his plans to modernize the farm by building a windmill, Napoleon has his dogs chase Snowball away and declares himself leader. Napoleon enacts changes to the governance structure of the farm, replacing meetings with a committee of pigs who will run the farm. Through a young pig named Squealer, Napoleon claims credit for the windmill idea. The animals work harder with the promise of easier lives with the windmill. When the animals find the windmill collapsed after a violent storm, Napoleon and Squealer convince the animals that Snowball is trying to sabotage their project. Once Snowball becomes a scapegoat, Napoleon begins to purge the farm with his dogs, killing animals he accuses of consorting with his old rival. When some animals recall the Battle of the Cowshed, Napoleon (who was nowhere to be found during the battle) frequently smears Snowball as a collaborator of Farmer Jones', while falsely representing himself as the hero of the battle. "Beasts of England" is replaced with an anthem glorifying Napoleon, who appears to be adopting the lifestyle of a man. The animals remain convinced that they are better off than they were under Mr. Jones. Mr Frederick, a neighbouring farmer, attacks the farm, using blasting powder to blow up the restored windmill. Although the animals win the battle, they do so at great cost, as many, including Boxer, the workhorse, are wounded. Despite his injuries, Boxer continues working harder and harder, until he collapses while working on the windmill. Napoleon sends for a van to purportedly take Boxer to a veterinary surgeon, explaining that better care can be given there. Benjamin, the cynical donkey who "could read as well as any pig",  notices that the van belongs to a knacker and attempts a futile rescue. Squealer quickly assures the animals that the van had been purchased from the knacker by an animal hospital, and that the previous owner's signboard had not been repainted. In a subsequent report, Squealer reports sadly to the animals that Boxer died peacefully at the animal hospital. The pigs hold a festival one day after Boxer's death to further praise the glories of Animal Farm and have the animals work harder by taking on Boxer's ways. Years pass, the windmill is rebuilt, and another windmill is constructed, which makes the farm a good amount of income. However, the ideals which Snowball discussed, including stalls with electric lighting, heating, and running water are forgotten, with Napoleon advocating that the happiest animals live simple lives. 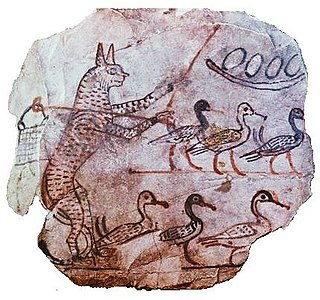 In addition to Boxer, many of the animals who participated in the Rebellion are dead or old. Farmer Jones, having moved away after giving up on reclaiming his farm, has also died. The pigs start to resemble humans, as they walk upright, carry whips, drink alcohol and wear clothes. The Seven Commandments are abridged to just two phrases: "All animals are equal, but some animals are more equal than others." and "Four legs good, two legs better." Napoleon holds a dinner party for the pigs and local farmers, with whom he celebrates a new alliance. He abolishes the practice of the revolutionary traditions and restores the name "The Manor Farm". When the animals outside look at the pigs and men, they can no longer distinguish between the two. Napoleon – "A large, rather fierce-looking Berkshire boar, the only Berkshire on the farm, not much of a talker, but with a reputation for getting his own way". An allegory of Joseph Stalin,  Napoleon is the main villain of Animal Farm. The piglets – Hinted to be the children of Napoleon and are the first generation of animals subjugated to his idea of animal inequality. The young pigs – Four pigs who complain about Napoleon's takeover of the farm but are quickly silenced and later executed, the first animals killed in Napoleon's farm purge. Based on the Great Purge of Grigori Zinoviev, Lev Kamenev, Nikolai Bukharin, and Alexei Rykov. Pinkeye – A minor pig who is mentioned only once; he is the pig that tastes Napoleon's food to make sure it is not poisoned, in response to rumours about an assassination attempt on Napoleon. Mr. Jones – A heavy drinker who is the original owner of Manor Farm, a farm in disrepair with farmhands who often loaf on the job. He is an allegory of Russian Tsar Nicholas II,  who abdicated following the February Revolution of 1917 and was murdered, along with the rest of his family, by the Bolsheviks on 17 July 1918. The animals revolt after Jones drinks so much he does not care for the animals. Mr. Frederick – The tough owner of Pinchfield, a small but well-kept neighbouring farm, who briefly enters into an alliance with Napoleon. Animal Farm shares land boundaries with Pinchfield on one side and Foxwood on another, making Animal Farm a "buffer zone" between the two bickering farmers. 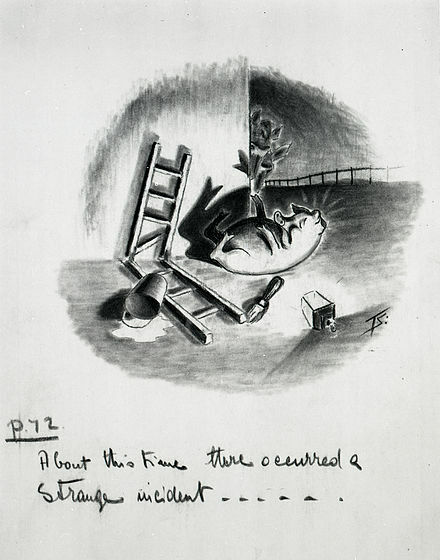 The animals of Animal Farm are terrified of Frederick, as rumours abound of him abusing his animals and entertaining himself with cockfighting (a likely allegory for the human rights abuses of Adolf Hitler). Napoleon enters into an alliance with Frederick in order to sell surplus timber that Pilkington also sought, but is enraged to learn Frederick paid him in counterfeit money. Shortly after the swindling, Frederick and his men invade Animal Farm, killing many animals and detonating the windmill. The brief alliance and subsequent invasion may allude to the Molotov–Ribbentrop Pact and Operation Barbarossa. Mr. Pilkington – The easy-going but crafty and well-to-do owner of Foxwood, a large neighbouring farm overgrown with weeds. Unlike Frederick, Pilkington is wealthier and owns more land, but his farm is in need of care as opposed to Frederick's smaller but more efficiently-run farm. Although on bad terms with Frederick, Pilkington is also concerned about the animal revolution that deposed Jones, and worried that this could also happen to him. Mr. Whymper – A man hired by Napoleon to act as the liaison between Animal Farm and human society. At first he is used to acquire necessities that cannot be produced on the farm, such as dog biscuits and paraffin wax, but later he procures luxuries like alcohol for the pigs. Boxer – A loyal, kind, dedicated, extremely strong, hard working, and respectable cart-horse, although quite naive and gullible. Boxer does a large share of the physical labour on the farm. He is shown to hold the belief that 'Napoleon is always right'. At one point, he had challenged Squealer's statement that Snowball was always against the welfare of the farm, earning him an attack from Napoleon's dogs. But Boxer's immense strength repels the attack, worrying the pigs that their authority can be challenged. Boxer has been compared to Alexey Stakhanov, diligent and enthusiastic role model of the Stakhanovite movement. He has been described as "faithful and strong";  he believes any problem can be solved if he works harder. When Boxer is injured, Napoleon sells him to a local knacker to buy himself whisky, and Squealer gives a moving account falsifying Boxer's death. Mollie – A self-centred, self-indulgent and vain young white mare who quickly leaves for another farm after the revolution, in a manner similar to those who left Russia after the fall of the Tsar. She is only once mentioned again. Clover – A gentle, caring female horse, who shows concern especially for Boxer, who often pushes himself too hard. Clover can read all the letters of the alphabet, but cannot "put words together". She seems to catch on to the sly tricks and schemes set up by Napoleon and Squealer. Muriel – A wise old goat who is friends with all of the animals on the farm. She, like Benjamin and Snowball, is one of the few animals on the farm who can read. The puppies – Offspring of Jessie and Bluebell, they were taken away at birth by Napoleon and reared by him to be his security force. The sheep – They show limited understanding of Animalism and the political atmosphere of the farm; yet nonetheless they are the voice of blind conformity  as they bleat their support Napoleon's ideals with jingles during his speeches and meetings with Snowball. 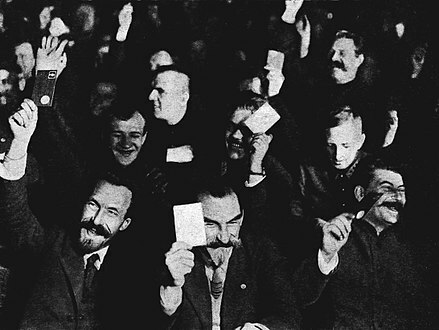 Their constant bleating of "four legs good, two legs bad" was used as a device to drown out any opposition or alternate views from Snowball, much as Stalin used hysterical crowds to drown out Trotsky. Towards the latter section of the book, Squealer (the propagandist) trains the sheep to alter their slogan to "four legs good, two legs better", which they dutifully do. The hens – The hens are promised at the start of the revolution that they will get to keep their eggs, which are stolen from them under Mr Jones. However their eggs are soon taken from them under the premise of buying goods from outside Animal Farm. The hens are among the first to rebel, albeit unsuccessfully, against Napoleon. The cows – The cows are enticed into the revolution by promises that their milk will not be stolen, but can be used to raise their own calves. Their milk is then stolen by the pigs, who learn to milk them. The milk is stirred into the pigs' mash every day, while the other animals are denied such luxuries. 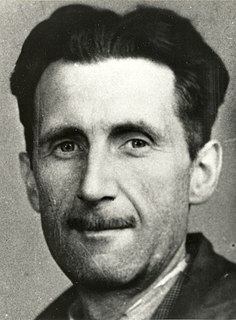 Orwell initially encountered difficulty getting the manuscript published, largely due to fears that the book might upset the alliance between Britain, the United States, and the Soviet Union. Four publishers refused; one had initially accepted the work but declined it after consulting the Ministry of Information. [lower-alpha 4] Eventually, Secker and Warburg published the first edition in 1945. During the Second World War, it became clear to Orwell that anti-Soviet literature was not something which most major publishing houses would touch—including his regular publisher Gollancz. He also submitted the manuscript to Faber and Faber, where the poet T. S. Eliot (who was a director of the firm) rejected it; Eliot wrote back to Orwell praising the book's "good writing" and "fundamental integrity", but declared that they would only accept it for publication if they had some sympathy for the viewpoint "which I take to be generally Trotskyite". Eliot said he found the view "not convincing", and contended that the pigs were made out to be the best to run the farm; he posited that someone might argue "what was needed... was not more communism but more public-spirited pigs". Orwell let André Deutsch, who was working for Nicholson & Watson in 1944, read the typescript, and Deutsch was convinced that Nicholson & Watson would want to publish it; however, they did not, and "lectured Orwell on what they perceived to be errors in Animal Farm." In his London Letter on 17 April 1944 for Partisan Review , Orwell wrote that it was "now next door to impossible to get anything overtly anti-Russian printed. Anti-Russian books do appear, but mostly from Catholic publishing firms and always from a religious or frankly reactionary angle." If the fable were addressed generally to dictators and dictatorships at large then publication would be all right, but the fable does follow, as I see now, so completely the progress of the Russian Soviets and their two dictators [Lenin and Stalin], that it can apply only to Russia, to the exclusion of the other dictatorships. Another thing: it would be less offensive if the predominant caste in the fable were not pigs. I think the choice of pigs as the ruling caste will no doubt give offence to many people, and particularly to anyone who is a bit touchy, as undoubtedly the Russians are. The sinister fact about literary censorship in England is that it is largely voluntary.... Things are kept right out of the British press, not because the Government intervenes but because of a general tacit agreement that 'it wouldn't do' to mention that particular fact. The Guardian on 24 August 1945 called Animal Farm "a delightfully humorous and caustic satire on the rule of the many by the few". Tosco Fyvel, writing in Tribune on the same day, called the book "a gentle satire on a certain State and on the illusions of an age which may already be behind us." Julian Symons responded, on 7 September, "Should we not expect, in Tribune at least, acknowledgement of the fact that it is a satire not at all gentle upon a particular State—Soviet Russia? It seems to me that a reviewer should have the courage to identify Napoleon with Stalin, and Snowball with Trotsky, and express an opinion favourable or unfavourable to the author, upon a political ground. In a hundred years time perhaps, Animal Farm may be simply a fairy story, today it is a political satire with a good deal of point." "Seven Commandments" redirects here. For the Noahide code, see Seven Laws of Noah. These commandments are also distilled into the maxim "Four legs good, two legs bad!" which is primarily used by the sheep on the farm, often to disrupt discussions and disagreements between animals on the nature of Animalism. 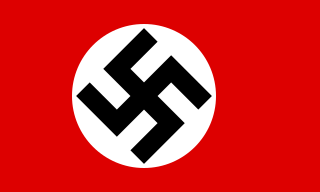 The Horn and Hoof Flag described in the book appears to be based on the hammer and sickle, the Communist symbol. Animal Farm has been adapted to film twice. Both differ from the novel and have been accused of taking significant liberties, including sanitising some aspects. Animal Farm (1999) is a TV live action version that shows Napoleon's regime collapsing in on itself, with the farm having new human owners, reflecting the collapse of Soviet communism. Foreign Office copy of first instalment of Norman Pett's Animal Farm comic strip. Władysław Reymont, Polish Nobel laureate who anticipated by two decades Orwell's Animal Farm with his book Revolt . Bunt (Revolt), published in 1924, is a book by Polish Nobel laureate Władysław Reymont with a theme similar to Animal Farm's. White Acre vs. Black Acre , published in 1856 and written by William M. Burwell, is a satirical novel that features allegories for slavery in the United States similar to Animal Farm's portrayal of Soviet history. George Orwell's own Nineteen Eighty-Four , a classic dystopian novel about totalitarianism. Homage to Catalonia is George Orwell's personal account of his experiences and observations fighting for the Republican army during the Spanish Civil War. The war was one of the shaping events on his political outlook and a significant part of what led him to write, in 1946, "Every line of serious work that I have written since 1936 has been written, directly or indirectly, against totalitarianism and for Democratic Socialism, as I understand it." 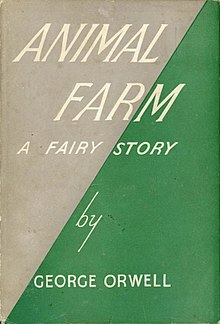 George Orwell's 1945 allegorical novel Animal Farm contains various anthems adopted by the eponymous farm, most notably the original anthem "Beasts of England" and its later replacement "Comrade Napoleon". Boxer is described as a hardworking, but naive and ignorant cart horse in George Orwell's Animal Farm. He is shown as the farm's most dedicated and loyal laborer. Boxer serves as an allegory for the Russian working-class who helped to oust Tsar Nicholas and establish the Soviet Union, but were eventually betrayed by the Stalinists. Squealer is a fictional character, a pig, in George Orwell's Animal Farm. He serves as second-in-command to Napoleon, the pigs' leader, and is the farm's minister of propaganda. He is described in the book as an effective and very convincing orator. In the book, he is described as a fat pig. In the 1954 film, he is a pink pig, whereas in the 1999 film, he is a Tamworth pig who wears a monocle. The Great Terror: Stalin's Purge of the Thirties is a book by British historian Robert Conquest which was published in 1968. It gave rise to an alternate title of the period in Soviet history known as the Great Purge. Conquest's title was also an evocative allusion to the period that was called the Reign of Terror during the French Revolution. Ten Days That Shook the World (1919) is a book by the American journalist and socialist John Reed about the October Revolution in Russia in 1917, which Reed experienced firsthand. Reed followed many of the prominent Bolshevik leaders closely during his time in Russia. John Reed died in 1920, shortly after the book was finished, and he is one of the few Americans buried at the Kremlin Wall Necropolis in Moscow, a site normally reserved only for the most prominent Soviet leaders. Mr. Pilkington of Foxwood Farm is a fictional human character in George Orwell's satirical novel Animal Farm. Basil Kingsley Martin, usually known as Kingsley Martin, was a British journalist who edited the left-leaning political magazine the New Statesman from 1930 to 1960. Animal Farm is a 1954 British-American animated comedy-drama film produced by Halas and Batchelor, based on the novel Animal Farm by George Orwell. It was the first British animated feature. The US CIA paid for the filming, part of the American cultural offensive during the Cold War, and influenced how Orwell's ideas were to be presented. The CIA initially funded Louis de Rochemont to begin work on a film version of Orwell's work and he hired Halas & Batchelor, an animation firm in London that had made propaganda films for the British government. Benjamin is a donkey in George Orwell's novel Animal Farm. He is also the oldest of all the animals. He is less straightforward than most characters in the novel, and a number of interpretations have been put forward to which social class he represents as regards to the Russian Revolution and the Soviet Union. Benjamin also represents the old people of Russia because he remembers the old laws that have been changed. Animal Farm is a made-for-TV film released in 1999 by Hallmark Films and broadcast on the American cable channel TNT. It is an adaptation of the 1945 George Orwell novel of the same name. The film tells the story of farm animals successfully revolting against their human owner, only to slide into a more brutal tyranny among themselves. The film received mixed reviews when it was broadcast, with much criticism directed at its ending. Snowball's Chance, is a parody and sequel to George Orwell's Animal Farm written by John Reed, in which Snowball the pig returns to the Manor Farm after many years' absence, to install capitalism — which proves to have its own pitfalls. John Reed is an American novelist. He is the author of four novels: A Still Small Voice (2000), Snowball's Chance (2002) with a preface by Alexander Cockburn, The Whole (2005), and All the World's a Grave: A New Play by William Shakespeare (2008). His fifth book, Tales of Woe (2010), is a collection of twenty-five stories, chronicling true stories of abject misery. Critical Essays (1946) is a collection of wartime pieces by George Orwell. It covers a variety of topics in English literature, and also includes some pioneering studies of popular culture. It was acclaimed by critics, and Orwell himself thought it one of his most important books. ↑ 12 Things You 2015. ↑ Orwell 2014, p. 23. ↑ Bowker 2013, p. 235. 1 2 3 Davison 2000. ↑ Orwell 2014, p. 10. ↑ Dickstein 2007, p. 134. ↑ Grossman & Lacayo 2005. ↑ The Hugo Awards 1996. ↑ "Great Books of the Western World as Free eBooks". 5 March 2019. ↑ Orwell 1946, p. 21. 1 2 3 4 Rodden 1999, pp. 5ff. ↑ Orwell 1979, p. 15, chapter II. 1 2 Hitchens 2008, p. 186f. ↑ Rodden 1999, p. 11. 1 2 Meyers 1975, p. 141. ↑ Rodden 1999, p. 12. ↑ Sutherland 2005, pp. 17–19. ↑ Roper 1977, pp. 11–63. 1 2 3 Dickstein 2007, p. 141. ↑ Orwell 2006, p. 236. ↑ Meyers 1975, p. 122. ↑ Orwell 2009, p. 52. ↑ Orwell 2009, p. 25. ↑ Overy 1997, p. 297. 1 2 3 4 5 Freedom of the Press. ↑ Orwell 2013, p. 231. 1 2 Whitewashing of Stalin 2008. ↑ Taylor 2003, p. 337. ↑ Leab 2007, p. 3. ↑ Fyvel 1982, p. 139. ↑ Orwell 2001, p. 123. ↑ Orwell 2015, pp. 313–14. ↑ Books of day 1945. ↑ Orwell 2015, p. 253. ↑ Rodden 1999, pp. 48–49. ↑ Carr 2010, pp. 78–79. ↑ Meyers 1975, p. 249. 1 2 3 Orwell 2013, p. 334. ↑ Crick 2019, p. 450. 1 2 Davison 1996, p. 161. 1 2 Firchow 2008, p. 102. ↑ Leab 2007, pp. 6–7. 1 2 Dickstein 2007, p. 135. 1 2 Meyers 1975, p. 142. ↑ Meyers 1975, p. 138, 311. ↑ Meyers 1975, p. 135. ↑ Meyers 1975, p. 138. ↑ Leab 2007, p. 7. ↑ Orwell 2013, p. 112. ↑ Orwell 2013, p. 341. ↑ One man Animal 2013. "12 Things You May Not Know About Animal Farm". Metro. 17 August 2015. Retrieved 16 August 2018. "1946 Retro-Hugo Awards". The Hugo Awards. 1996. Retrieved 2019-02-23. "Animal Farm: Sixty Years On". History Today . Archived from the original on 8 November 2017. "Animal Farm". Theatre Tours International (Archived copy ed.). Archived from the original on 30 June 2009. Retrieved 2 February 2013. Bloom, Harold (2009). Bloom's Modern Critical Interpretations: Animal Farm – New Edition (1st ed.). Infobase Publishing. ISBN 1604135824. Archived from the original on 22 November 2016. Retrieved 13 May 2013. "Books of the day – Animal Farm". The Guardian. 24 August 1945. Archived from the original on 30 July 2016. Retrieved 17 July 2016. Bowker, Gordon (14 March 2013). George Orwell. Little, Brown Book Group. ISBN 978-1-4055-2805-4. Bynum, Helen (2012). Spitting Blood: The History of Tuberculosis. Oxford University Press. p. xiii. ISBN 9780199542055. Carr, Craig L. (14 October 2010). Orwell, Politics, and Power. Continuum International Publishing Group. ISBN 978-1-4411-5854-3 . Retrieved 9 June 2012. Chilton, Martin (21 January 2016). "How the CIA brought Animal Farm to the screen". The Telegraph. Archived from the original on 26 October 2016. Retrieved 27 October 2016. Crick, Bernard (30 April 2019). George Orwell: A Life. Sutherland House Publishing. ISBN 978-1-9994395-0-7. Davison, P. (8 March 1996). George Orwell: A Literary Life. Palgrave Macmillan UK. ISBN 978-0-230-37140-8. Davison, Peter (2000). "George Orwell: Animal Farm: A Fairy Story: A Note on the Text". England: Penguin Books. Archived from the original on 12 December 2006. Dickstein, Morris (2007). "Animal Farm: History as fable". In John Rodden. The Cambridge Companion to George Orwell. Cambridge University Press. pp. 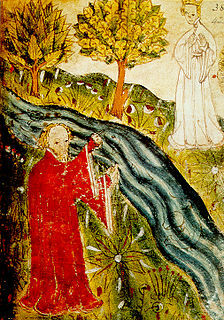 133–145. ISBN 978-0-521-67507-9. Eliot, Valery (6 January 1969). "T.S. Eliot and Animal Farm: Reasons for Rejection". The Times. UK. Archived from the original on 15 October 2009. Retrieved 8 April 2009. "The Fall of Mister Jones and the Russian Revolution of 1917". Shmoop University. Archived from the original on 2 December 2013. Retrieved 13 May 2013. Firchow, Peter Edgerly (2008). Modern Utopian Fictions from H.G. Wells to Iris Murdoch. CUA Press. ISBN 978-0-8132-1573-0. "GCSE English Literature – Animal Farm – historical context (pt 1/3)". BBC . Archived from the original on 3 January 2012. Giardina, Carolyn (19 October 2012). "Andy Serkis to Direct Adaptation of 'Animal Farm'". hollywoodreporter.com. The Hollywood Reporter. Archived from the original on 13 November 2013. Retrieved 26 August 2013. Fyvel, Tosco R. (October 1982). George Orwell, a personal memoir. MacMillan. Grossman, Lev; Lacayo, Richard (16 October 2005). "All-Time 100 Novels". TIME magazine. Archived from the original on 13 September 2008. Retrieved 31 August 2008. Hitchens, Christopher (6 August 2008). Why Orwell Matters. Basic Books. ISBN 978-0-7867-2589-2. Leab, Daniel J. (2007). Orwell Subverted: The CIA and the Filming of Animal Farm. Penn State Press. ISBN 0-271-02978-1. Meija, Jay (26 August 2002). "Animal Farm: A Beast Fable for Our Beastly Times". Literary Kicks . Retrieved 16 February 2019. Meyers, Jeffrey (1975). A Reader's Guide to George Orwell. Thames and Hudson. ISBN 978-0-500-15016-0. "Norman Pett". lambiek.net. Archived from the original on 17 December 2017. Retrieved 8 May 2018. "One man Animal Farm Show On the Way to Darwen". Lancashire Telegraph. 25 January 2013. Archived from the original on 6 January 2014. Orwell, George (1945). "The Freedom of the Press: Orwell's Proposed Preface to 'Animal Farm'". Archived from the original on 16 January 2013. Retrieved 22 February 2019. Orwell, George (1946). Animal Farm. New York: The New American Library. ISBN 978-1-4193-6524-9. Orwell, George (March 1947). "Preface to the Ukrainian Edition of Animal Farm". Archived from the original on 24 October 2005. Orwell, George (1979) [First published by Martin Secker & Warburg 1945; published in Penguin Books 1951]. Animal Farm. England: Penguin Books. ISBN 978-0-14-000838-8. Orwell, George (2001). Smothered Under Journalism 1946. Secker & Warburg. ISBN 978-0-436-20556-9. Orwell, George (2006). Peter Hobley Davison, ed. The Lost Orwell: Being a Supplement to The Complete Works of George Orwell. Timewell. ISBN 978-1-85725-214-9. Orwell, George (2009). Animal Farm: A Fairy Story. HMH Books. ISBN 978-0-547-37022-4. Orwell, George (2013). Peter Davison, ed. George Orwell: A Life in Letters. W. W. Norton & Company. pp. 231–. ISBN 978-0-87140-462-6. "The Real George Orwell, Animal Farm". BBC Radio 4. Archived from the original on 27 January 2013. Orwell, George (30 October 2014). Why I Write. Penguin Books Limited. ISBN 978-0-14-198060-7. Orwell, George (9 February 2015). I Belong to the Left: 1945. Penguin Random House. ISBN 978-1-84655-944-0. Overy, Richard (1997). Why the Allies Won. W.W. Norton. ISBN 978-0-393-31619-3. Rodden, John (1999). Understanding Animal Farm: A Student Casebook to Issues, Sources, and Historical Documents. Greenwood Publishing Group. ISBN 978-0-313-30201-5 . Retrieved 9 June 2012. Roper, D. (1977). "Viewpoint 2: The Boxer Mentality". Change. 9 (11): 11–63. doi:10.1080/00091383.1977.10569271. JSTOR 40176954. "The Scheming Frederick and how Hitler Broke the Non-Aggression Pact". Shmoop University. Archived from the original on 2 December 2013. Retrieved 13 May 2013. Soule, George (1946). "1946 Review of George Orwell's 'Animal Farm'". The New Republic. Archived from the original on 14 January 2017. "SparkNotes " Literature Study Guides " Animal Farm " Chapter VIII". SparkNotes LLC. Archived from the original on 18 May 2013. Retrieved 13 May 2013. Sutherland, T. (2005). "Speaking My Mind: Orwell Farmed for Education". The English Journal. 95 (1): 17–19. JSTOR 30047391. Taylor, David John (2003). Orwell: The Life. H. Holt. ISBN 978-0-8050-7473-4. "The whitewashing of Stalin". BBC News. 11 November 2008. Archived from the original on 12 November 2008. "Top 100 Best Novels". Modern Library. 1998. Retrieved 2019-02-23. Bott, George (1968) . Selected Writings. London, Melbourne, Toronto, Singapore, Johannesburg, Hong Kong, Nairobi, Auckland, Ibadan: Heinemann Educational Books. ISBN 978-0-435-13675-8. Menchhofer, Robert W. (1990). Animal Farm. Lorenz Educational Press.